A UW mechanical engineering professor will explore non-reciprocal elastic wave propagation in solid-state media through a new four-year, $2 million Emerging Frontiers in Research and Innovation (EFRI) grant from the National Science Foundation (NSF). ME assistant professor Nicholas Boechler is a co-investigator on the grant and will work alongside Pierre Deymier and Pierre Lucas, professors of materials science and engineering at the University of Arizona, on the project. Throughout history, the discovery of materials with new properties has enabled tremendous technological leaps. This highly competitive grant will allow the research team to explore a new material paradigm of solids that support non-reciprocal, backscattering immune, elastic wave propagation. 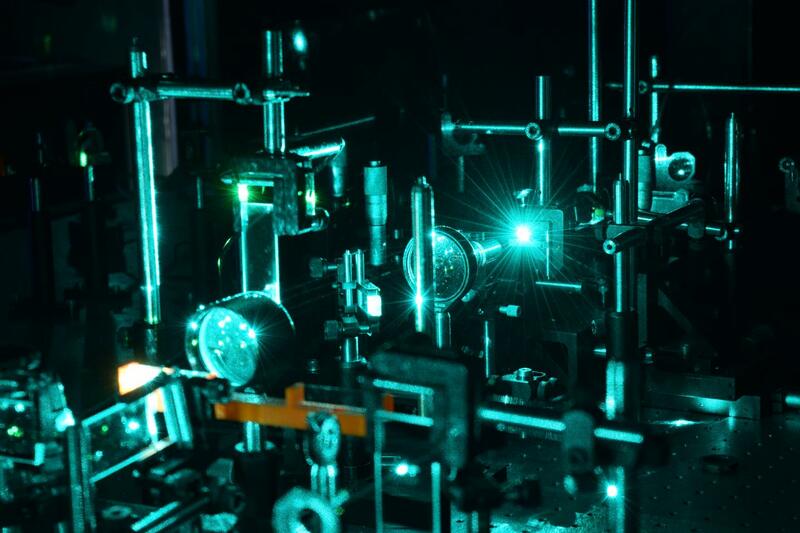 To do this, the team plans to use the strong interaction of chalcogenide glasses and phase-change materials with laser light to periodically vary the stiffness of the materials. With increasing challenges being faced in squeezing more transistors into computer chips, the possibility of using vibrations or "phonons," instead of electrons, as information carriers has been proposed as a possible complementary or alternative approach. The non-reciprocal materials explored as part of this project may lead to new phononic information processing strategies. Deymier and Boechler will also chair and co-chair the Phononics 2019 international conference on phononic crystals and metamaterials to be held June 2019 in Tucson, AZ, to promote this emerging body of research. The conference will allow students and researchers funded through this grant, and throughout the phononics community, to build their scientific communication and leadership skills in an international setting. At the UW, Boechler leads the Boechler Research Group, a lab that investigates wave propagation in complex media and the design of materials with extraordinary, dynamically-responsive properties. Earlier this year he received an Air Force Office of Scientific Research Young Investigator Program award for his study of nonlinear microstructured materials and stress wave transformation.